Building a business by working directly with clients can be incredibly fulfilling. Whether you’re a freelancer, consultant, coach, or service provider – there is often no greater feeling than helping your clients achieve a result that they’ve struggled to achieve on their own. And although running your own business can be exhilarating, learning how to grow your business can often be challenging. At Thinkific, we love client businesses. In fact, a large proportion of our most successful customers are entrepreneurs that worked as freelancers, coaches, consultants, and service providers before they started creating and selling online courses. What we appreciate most about service providers and client businesses is that they are doers. They’re in the trenches. And although working with clients on a one-to-one basis may not be as scalable as other types of business models, it gives these entrepreneurs the opportunity to truly master their craft, and prove that what they do works – not just for themselves, but for their clients as well. Sunny Lenarduzzi, a customer of ours that built a successful business teaching video marketing, for example, started off as a marketing consultant that worked directly with her clients to help them with their social media and video marketing strategy. And she was good at it. But like most service providers that are good at what they do, Sunny eventually reach a point in her business where the demand for her services exceeded her availability. Her calendar filled with client work, and she literally couldn’t help any more clients (at least not by working with them directly) even if she wanted to. This is one of the greatest challenges that service-based businesses face. Because they’re trading their time by working directly with their clients, there is a limit to how many clients they can work with at any given time. When they reach their capacity, it’s difficult for them to grow. The biggest problem working directly with your clients on a one-to-one basis is that you have no leverage. You’re trading time for money, and since there is a finite amount of time available each day, this imposes a limit on how many clients you can work with on daily basis. Can you build a profitable business and support a great lifestyle working directly with clients? Absolutely. But there are only so many clients you personally work with at any given time before you risk burnout. When your calendar is full, the growth of your business plateaus. When that happens, there are 3 things you can do to increase your impact and income. The first thing you can do to increase your income is to change what you charge for your services. For many entrepreneurs, this also means changing how they charge. It incentivizes you to take a longer time to work with your client. The faster you help them get the result they want, the less you get paid. This is a direct conflict with your client’s goal of getting their desired result as quickly as possible. It causes you to charge based on how much you think your time is worth, which often has little correlation to the value of your services to your client. A large number of service providers that charge by the hour for their services are actually undercharging. The key to raising your prices, and perhaps more importantly, to be able to justify the increase in your pricing to your clients, is to charge based on the value of the outcome you help your clients achieve. Don’t charge based on the amount of time you devote to a client. Find out what it’s worth to your target market to solve the specific problem or achieve the result that you help them with. And then design your fulfillment process to require as little of your time as possible. The byproduct of this approach is that your hourly rate actually increases. The bottom line: charging a higher price for your services will enable you to earn more revenue without taking on more clients. The second way to scale your client business is to help more clients. Of course, helping more clients requires more time, but that doesn’t mean that it has to be your time. You can hire and train other people to trade their time to work directly with your clients. You can build a team. Building a team of people that can handle the majority of client fulfillment frees up your time to work on your business rather than in it. Even if you have the ability to generate demand for your business, if you don’t have a team in place to handle client fulfillment, your hands are tied. You can’t take on more clients, even if they’re asking you to. 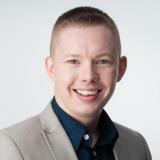 Greg Hickman, CEO of System.ly (a digital marketing consultancy), recommends removing yourself from as much of the client fulfillment process as possible. This requires creating standardized processes, repeatable steps, and utilizing automation to bring the amount of time that you personally invest with each client to a minimum. If you’re the only one working directly with clients in your business, you are the business. If something happens to you and you’re suddenly unavailable to your clients, your business (and your clients!) will suffer. The third way to grow your business – without having to trade time for money or hire more team members – is to utilize technology to deliver value to more than one client at a time (or at very least, deliver value to your clients without trading more time). This creates leverage in your business, separating your income potential from your time. By productizing your knowledge and methodology into online courses and training that teaches your clients how to get the result they want, you separate your income potential from your time. You create an asset that gives you leverage. In this article, I’m going to share 5 specific strategies that some of today’s most successful consultants, coaches, and service providers are utilizing to create more leverage in their business using Thinkific. One of the most popular strategies for creating leverage in a client business is to create online courses to sell to your clients. By productizing your knowledge into an online program that teaches your clients how to get the result they want, you create a digital asset that can be sold over and over again. A major advantage of creating an online course is that it only has to be created once. Once your program is created, you can utilize sales funnels and automation to sell your online course to as many people as possible, with minimal fulfillment costs and generous profit margins. Selling an online course also opens you up to the segment of your market that can’t afford to work with you directly. 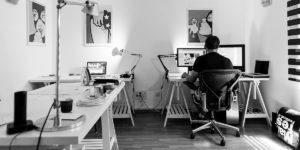 You can keep working with clients 1-on-1 (charging a premium when you do), and create an additional source of revenue for your business by targeting the segment of your market that would rather learn how to do something themselves instead of hiring a consultant or service provider to help them. Paul Ramondo, for example, is a digital marketing consultant that specializes in helping other businesses create sales funnels and Facebook advertising campaigns. He started out by working directly with clients, but like many entrepreneurs who start a consulting business, Paul eventually reached his capacity. In order to create an additional source of revenue for his business, he created an online course to teach other marketers how to create sales funnels. Now he has a digital product that generates passive income for his business, and he reserves his consulting time for bigger clients. Membership sites are similar to online courses with a slight distinction: they charge a recurring subscription fee to access private training and content. Essentially, they are an ongoing online course. There is no definitive end date, and the goal as a membership site owner is to retain your members for as long as possible. To keep your members engaged, you’ll need to update your membership site with new content and training on a regular basis. Enabling your members to interact with each other is also a great way to build a community within your membership site and increase customer retention rates. Creating private discussion boards, forums, Facebook Groups and even Slack Channels for your members are all great ways to accomplish this. Fashion blogger and stylist Mimi G, for example, started building her audience online by publishing free video tutorials on her YouTube channel. As her audience grew in size, Mimi realized that she could better serve them (and create an additional source of revenue for her business in the process!) by creating a membership site. In exchange for a nominal monthly subscription fee, members receive access to private training, step-by-step tutorials and additional resources to help them learn how to sew successfully. 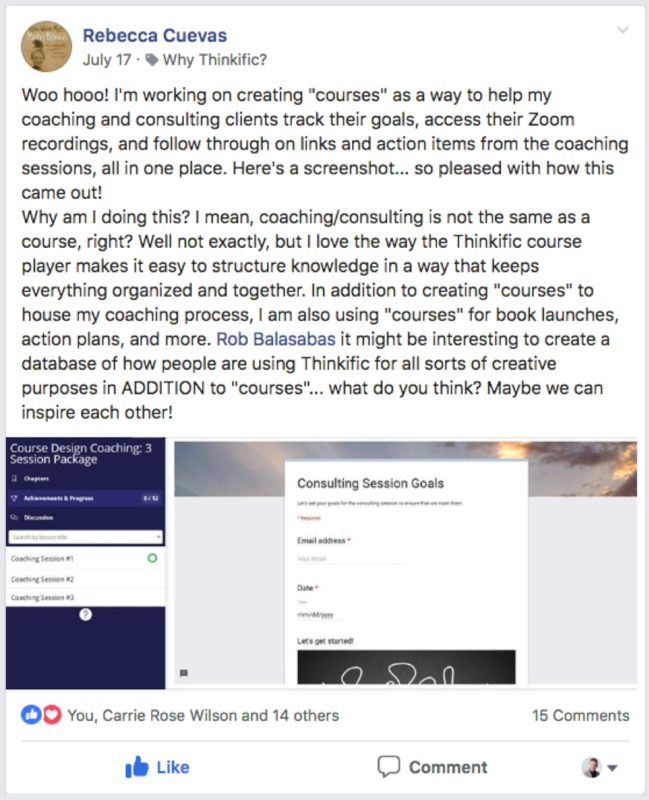 With a group coaching model, instead of working with your clients on a 1-to-1 basis, you organize your clients into specific groups that you work with at the same time. With this model, your clients still receive the benefit of having direct access to you, plus the added benefit that comes from having access to each other. Group coaching programs are typically sold for a lower price than working with you 1-on-1 (resulting in less revenue per client) but you’ll make up for that in volume. So although you might be charging less per client to enroll in your group coaching program, the value of your time when you conduct live calls with your clients is actually higher than when you work with just one client. For example’s sake, let’s assume that when you work with a client 1-on-1, the value of your time is $500 per hour. Your group coaching clients will be paying less per hour for your time (let’s go with $200 per hour as an example). If you have 10 clients in your program, the value of your hour when coaching them is $1,000 ($200 x 10 clients). Therefore, your time is worth twice as much when running a group coaching program versus working with clients 1-on-1. Many group coaching programs are also supplemented with private training content, which clients are expected to go through in between the live coaching calls. This combination of live calls and private training ensures that everyone in the program is learning the same concepts at the same time, and the live calls that are conducted with the group are customized to their specific questions and challenges for a specific stage in the program. 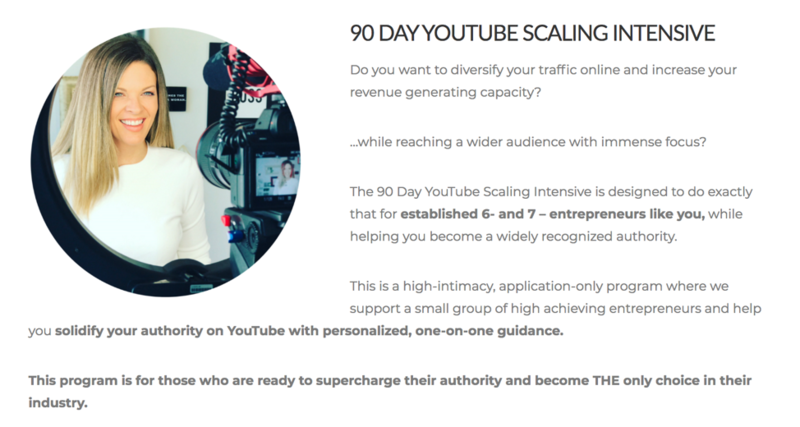 Video marketing expert Sunny Lenarduzzi, for example, offers a 90-day group coaching program to help established entrepreneurs build their authority on YouTube. Offering a group coaching program has allowed Sunny to provide customized guidance to multiple clients at once, enabling her to scale her business more rapidly than by working with each of her clients on a 1-to-1 basis. The fourth strategy for creating more leverage in your business is to create content and resources that you share exclusively with your clients. Although this doesn’t replace working with you 1-on-1, it adds tremendous value to your clients, which helps you to justify charging higher prices for working with you. One of the biggest frustrations that service providers (particularly coaches and consultants) experience is having to answer the same questions and cover the same concepts over and over again on calls with their clients. A private client-only training model helps solve that problem and create more value for your clients. By giving them training that they can access on their own time and in between their calls with you, the nature of your client calls can shift from teaching them to creating customized strategies, providing feedback, and holding them accountable. 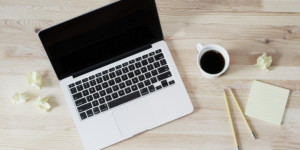 Instead of charging for online courses, many entrepreneurs and organizations are offering free online courses for the purpose of generating leads and acquiring new clients for their business. Although offering free courses directly generate revenue, they are great for attracting and training prospective clients, introducing them to your product or service in the process. Later, an Instagram marketing platform, for example, used to host regular live webinars to demonstrate their software to new and prospective customers. When they replaced their webinar with a free online course, their customer retention rate increased by 320%. As I mentioned in the introduction, working with clients on a 1-to-1 basis can be incredibly fulfilling. Many entrepreneurs are able to build a great lifestyle business, often earning multiple 6-figures in revenue, working directly with a small handful of clients at any given time. But to escape the time-for-money trap that comes from working with clients 1-on-1 (or at the very least, to be able to earn more in less time), you’ll need to add at least one of the strategies from this article into your business model. And if you want to scale to 7-figures in revenue and beyond as a consultant, coach, or service provider, you will likely need to implement several of these strategies. At Thinkific, we have the privilege of supporting numerous 7-figure entrepreneurs (you can check out our case studies here). Almost without exception, these entrepreneurs have shifted from working exclusively with clients on a 1-to-1 basis to implementing several – and in some cases, all – of the strategies we’ve just shared with you. In doing so, they were able to significantly increase their impact and income, helping more clients and changing more lives than they ever could by working exclusively with clients 1-on-1. Which one of these strategies are you the most excited to implement to grow your business? Leave a comment below to us know! My skills could also take the shape of a course and the course takers or students could ask me for help when needed. Brillant tips, thank you Tyler.